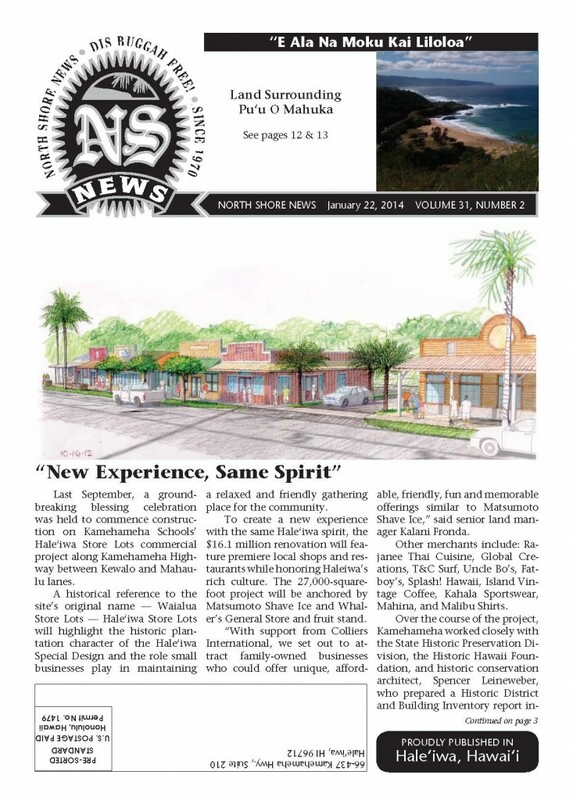 This article was published in the January 22, 2014 issue of the North Shore News. 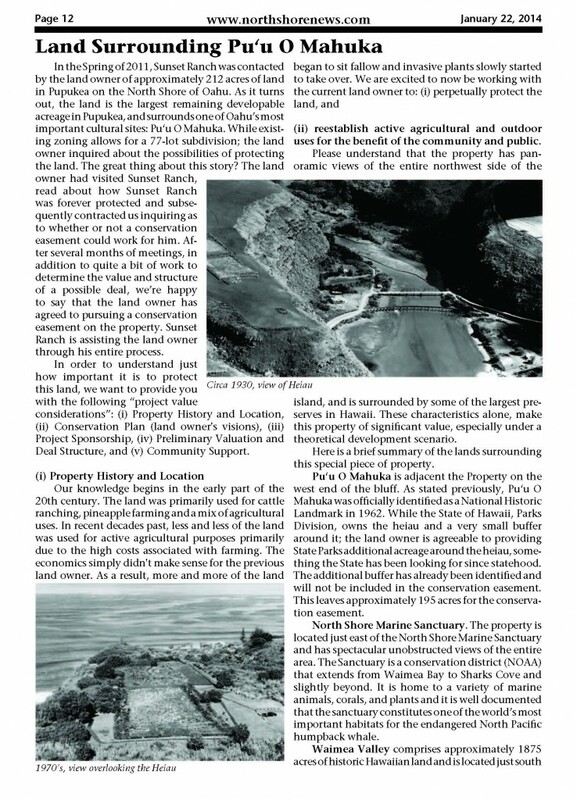 While there is still quite a bit of work to do before this land is perpetually protected; we’re excited about recent progress. Please contact us with any and all questions or concerns regarding this project, or if you’d like additional details. 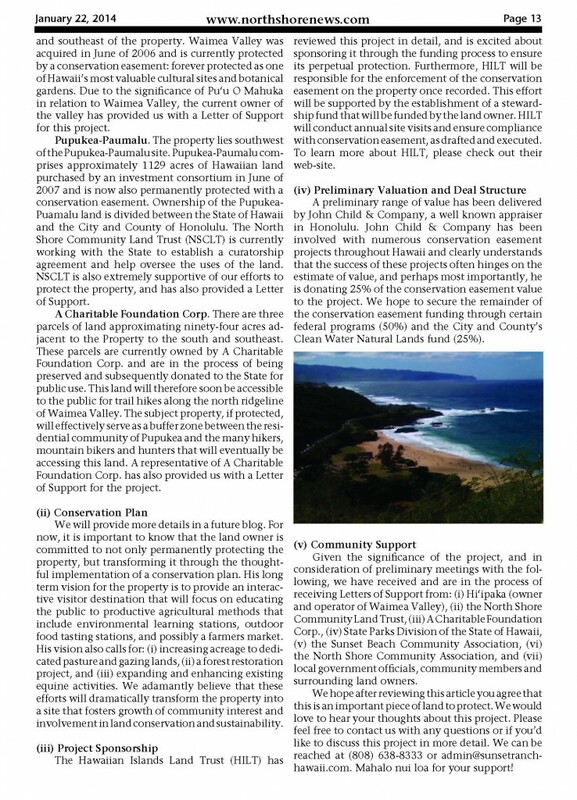 (808)638-8333 or [email protected] Mahalo nui loa for your continued support!